Many atheists and skeptics argue that there just is not enough (or any) evidence for the existence of God. Christopher Hitchens (R.I.P. ), a well-known atheist, has said, “[E]xceptional claims demand exceptional evidence” and “That which can be asserted without evidence, can be dismissed without evidence” . 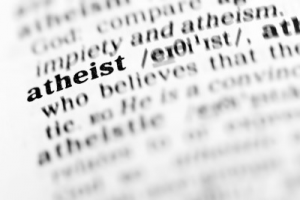 It is clear that atheists deny that there is evidence for the reality of God. What does the Bible say about this? The Bible teaches that everyone in the world receives the knowledge that God exists. There should be no doubt, for those of us who take the Bible to be God’s Word, that God made it unavoidable that everyone know of His existence. Let us examine the biblical message. The Bible tells us that, “The heavens declare the glory of God, and the sky above proclaims his handiwork” (Psalm 19:1 ESV). Simply by taking the time to closely scrutinize the natural world around us, we can see the handiwork that points to an incredibly intelligent source. One would have to be willfully ignorant to attribute all the intricacies found in nature to random chance. Nevertheless, because so many generations have been indoctrinated into the false religion of ‘evolution’, it is a common occurrence for men and women to completely miss what should be wondrous and awe-inspiring beauty, and to attribute all of creation to mindless and impersonal physical forces. The apostle Paul writes that an attitude of denial is not normal, “For what can be known about God is plain to them, because God has shown it to them. For his invisible attributes, namely, his eternal power and divine nature, have been clearly perceived, ever since the creation of the world, in the things that have been made. So they are without excuse” (Romans 1:19-20 ESV). God’s self-revelation, visible in what He has made, makes ones rejection of Him inexcusable. A close look at nature reveals an intricate level of design that points undeniably to a Designer. Nevertheless, some still live in denial. Everyone will experience a time in their life when they know they need God. God did not leave us to wander alone, aimlessly hoping that somehow we would stumble across the truth, which He intends for us to recognize. God wants us to find Him; therefore, He reaches out to us. The Holy Spirit is even now touching the hearts of people so that they might realize their sinful condition, the inevitable coming judgment, and their need of a Savior. Jesus told His disciples that the Holy Spirit would come, “And when he comes, he will convict the world concerning sin and righteousness and judgment: concerning sin, because they do not believe in me; concerning righteousness, because I go to the Father, and you will see me no longer; concerning judgment, because the ruler of this world is judged” (John 16:8-11 ESV). The Spirit works on the conscience of every individual; making it clear to each person that there is such a thing as sin, that we are responsible to a Creator, and that we will be judged someday. The apostle Paul, writing to the church in Rome, makes it clear that this truth is implanted even in those who have no personal saving relationship with God, “For when Gentiles, who do not have the law, by nature do what the law requires, they are a law to themselves, even though they do not have the law. They show that the work of the law is written on their hearts, while their conscience also bears witness” (Romans 2:14-15 ESV). In this passage, Paul considered there to be two groups of people; those who followed God and those who did not, those who did not were called Gentiles. Nevertheless, even these Gentiles had the knowledge of God’s existence written on their hearts. The first chapter of the Gospel of John tells the reader a few things about Jesus; such as, He is eternal and He created all things. Then John tells us that, “In [Jesus] was life, and the life was the light of men” (John 1:4 ESV). However, God’s grace and mercy did not end there. He made sure that everyone was aware of his or her need for this salvation. “The true light, which gives light to everyone, was coming into the world” (John 1:9 ESV). Every person who comes into the world, at some point in his or her life, has enough knowledge of the truth of God to be saved. No one can truthfully say he or she is ignorant of the fact that God exists and that we are responsible to Him. Everyone will experience a time in their life when they know they need God. What they do with that knowledge determines their eternal destiny and destination. They make a choice to either follow and obey God, or ignore His lordship in rebellion against Him. Everyone, at some point in one’s life, must make this choice. Jesus said, “…I am the way, and the truth, and the life. No one comes to the Father except through me” (John 14:6 ESV). He was saying that He was going to provide the way for humanity to be forgiven of their sins. He was saying that everything about Him was truth and that, “…to all who did receive him, who believed in his name, he gave the right to become children of God” (John 1:12 ESV). Jesus Himself claimed, “I am the light of the world. Whoever follows me will not walk in darkness, but will have the light of life” (John 8:12 ESV). In summary, the biblical record testifies that humanity must have Jesus, the Light of the World, or else we remain separated from God and destined to endure an eternity of punishment (Matthew 25:46). Jesus gave his life in order to pay for our sins. There is no other way to be forgiven and have eternal life. How one responds to the knowledge he or she has determines what kind of a relationship he or she will have with God. Following Jesus results in eternal life, forgiveness of sin, and an eternity in the presence of the Great Creator. Rejecting God results in a life lived out of sync with reality, increasing in sin that God will eventually judge, and heading for an eternity of punishment (Matthew 25:46). 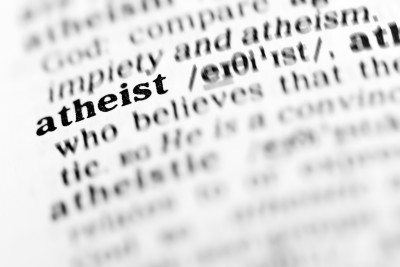 Atheists and skeptics know the truth, completely or in part, of the existence of God. So, what explains their atheism? Either they acknowledge the reality of God and refuse to worship Him, or they have disbelieved for so long that their consciences have become dull and they no longer feel the guilt of their sin or the conviction of the truth of God, “The fool says in his heart, ‘There is no God’” (Psalm 14:1; 53:1 ESV). Knowing that even the most ardent atheists actually know there is a God, even though they are willfully choosing not to acknowledge this truth, should give the witnessing Christian great confidence. Armed with the knowledge that the unbeliever knows the truth, that the Holy Spirit is speaking to his or her heart, and that God is active in the witnessing process, should encourage all believers to be bold in their witness for Jesus. Atheists may not believe in God, but, according to His Word, they cannot say they never knew that they should. Superb work again Robert. I believe that it takes more faith to believe that there is no God than there is a God, for as you revealed from Scriptures, even nature exhibits His glory and but by the grace of God, I would still be in my disbelief. Sterling work as always my friend. The Bible is very clear that everyone has some knowledge of the existence of God and of His power. The choice is ours in how we respond to that knowledge. God bless you, brother. Great job on this one Robert. I can remember seeing God’s handiwork in nature before I chose to follow Him. I remember looking out on the country sides full of trees, hills and beautiful skies and thinking to myself “this is not here by chance.” This article took me down memory lane a bit. Thank you for it. God bless you brother! Thank you for the kind words concerning the article, Derek. It has always amazed me that people can look at the intricate beauty all around us and say that it all happen by luck, chance, random processes, or whatever. They just won’t admit that it was really God who made it. God bless you. This is my first time to this website and the second article I have read here. I just wanted to tell you that I really enjoyed this article. It speaks to me because constantly I am gazing at the beautiful clouds and the stars that God has created. I look forward to reading many more articles and increasing my knowledge of God. These kind of articles keep me gauged and allows me to share with my friends. Welcome to the site, Adegoke, it is good to have you here. I pray that God will speak to you through the things that you read here and that your walk with Him will be strengthened and deepened. God bless you. I am awed by God’s wonders of how He reveals and manifests His presence and existence even as He has reconfirmed through you brother. May you be used of Him and blessed to bless others even as weak and dependent on Him as i am. God bless you brother. The topic/idea of everyone on this earth having a chance to be saved has always concerned me. God has been so good to me and blessed me with so many wonderful things I don’t deserve any of his grace or mercy, but I am truly thankful for it. That is from my heart. My question is “If a person who lives now or lived hundreds of years ago in one of the many countries on Earth that has a culture totally lacking in Christ, well, if that person one day were to make the realization that there must be something out there, some devine creator, how does God “follow up” on this realization. If that person must receive Christ to be saved, how can he or she suddenly receive the salvation and information necessary for the continuing growth in Christ that, sadly, so many of us take for granted?” This is a sincere question. It seems the more I research this, the more complicated it gets. I am at peace with the fact that there are many things of God that we don’t know and don’t need to know. When I open things “Made in China” for example, I wonder about and pray for the person who made/packaged/shipped, etc that item. I see the videos of the sobbing Chinese parents who have had children taken from them. As far as I can determine, they certainly don’t know the comfort of God as we do. However, if they had a church on every corner like we do around here (I’m south of you outside Wichita Falls in Wichita County, Texas) their lives would be different. In summation of my ramblings here, I ponder if people who never had the opportunity to know God and receive Christ don’t get a “second chance” of some type much in the way that I believe in my heart that children and the mentally handicapped are not held accountable and are in Heaven. Your thoughts on that would be appreciated. Thanks for any comment you might have on this. First of all, thank you for reading and commenting. This website exists to encourage Christians in their walk with Jesus and to challenge unbelievers to take a close look at the claims of the Bible. The truth is that God is good to us all; He gave us life and, even after we rebelled against Him, sent His Son to provide payment for our sins, so that we can have our sins forgiven and have eternal life with God forever. Your concern about those who have never heard the Gospel is a common concern for believers everywhere. I will try to keep this brief, but let me lay out some foundational biblical truths that should guide us in our thinking on this subject. 1. God loves us enough to send His Son to die on a cross for our sins. Therefore, God cares about those who have not clearly had the Gospel preached to them as much as He cares about thos who have heard it. 2. Jesus’ sacrifice on the cross made salvation possible. So, anyone who is saved is saved because of Jesus, He is the way, the truth, and the life and no one comes to the Father except through Him (John 14:6). If God chooses to save some who only respond to what they know of God, it is still based on Jesus’ payment for our sins. 3. The Old Testament saints had never heard of Jesus. They trusted and obeyed God and He counted this as righteousness. They had no righteousness of their own, but their faithfulness allowed God to apply Jesus’ later sacrifice on the cross to them in order that they could be forgiven. 4. I too have wrestled with the same thoughts you are wrestling with and have come to see this passage as possibly having something to do with the issue, “And he made from one man every nation of mankind to live on all the face of the earth, having determined allotted periods and the boundaries of their dwelling place, that they should seek God, and perhaps feel their way toward him and find him. Yet he is actually not far from each one of us” (Acts 17:26-27 ESV). This passage seems to be saying that God has sovereignly guided, and is still guiding, situations and circumstances to bring each person to a place where they can choose to follow God or choose to reject Him. I may be reading too much into this, but I don’t think so. Your concern for those who have never heard the Gospel is at the heart of missions. That is why Christians send people out into all parts of the world with the message of Jesus Christ. However, if we are unable (or unwilling) to reach some, does God deal with them differently? I really don’t know. What I do know is that the God of the Bible is love. The God of the Bible is Holy. The God of the Bible is just. Therefore, a loving, holy, just God will deal fairly with all of us. Thank you for the insightful response. I’ve read it several times and will read it several more. Much good info. I certainly agree with your view, if that’s the correct word, that God is holy, just, and fair, so I know whatever His plan, it’s the right one. Personally, some of the most comforting words in the Bible are in Isaiah 55:8 and Luke 11:11-13. As for your being an Okie, I’d seen in your bio where you’re from Oklahoma which is somewhat related to my original comment/question in that I have for years visited the Wichita Mountains and been fascinated with the inherent spirituality of that area, for many different religions, especially Mt. Scott. But that’s a whole different area of discussion for a whole different day. Thanks again. You are very welcome for any help I might have been. I am simply trying to be faithful to God. I too have spent a lot of time in the Wichita Mts. (I used to live in Elgin, then in Lawton for about 20 years, so Mt. Scott was the place to go to get away). It certainly a beautiful area. My wife and I visited Medicine Park recently and I was reminded of just how magnificent God’s creation is. God bless you, Mick. Mick, I agree with what Robert said. Let me tell you about an article that addresses this very question, which is a good question and comes up frequently. By the way, children who die and since they have not reached the age of accountability, will not be judged but will be with the Lord, Jesus Christ. This should answer the questions, I hope, that you asked here. Thanks for the lead to the article you recommended. As with so much on this site, it contains tremendously helpful information. I truly thank God that I found this website and for the insightful writings of men like you and Robert. A side note: I bought a book on Amazon titled “Do Babies Go To Heaven?” by a writer with the same name as yours. If you ever run across him, please tell him “thank you” for the comfort it’s brought me in dealing with the death of a mentally handicapped young man with whom I was very close. Thanks again, Jack, for those words. Hello Mick G. Thanks for your gracious words my friend. That was so encouraging to me. Mick, that “Jack Wellman” was me and I wrote that book “Do Babies Go To Heaven” for several reasons. On the day I published it, the church that I attended before becoming a pastor, the young pastor told me that he had lost his young son to an accident and that he forwared it to him. The timing of that must have been from God and so all glory, honor, and praise belong to our God alone. Atheists look determined to disprove the existence of God. They provide some arguments that suggest that there is evidence of absence of God. Here are some arguments against the existence of God that I need help falsifying please. 1. The Problem of Evil contests the existence of a god who is both omnipotent and omnibenevolent by arguing that such a god should not permit the existence of evil or suffering. 2. The Argument from Poor Design contests the idea that God created life on the basis that lifeforms, including humans, seem to exhibit poor design. 3. The Argument from Non-belief contests the existence of an omnipotent God who wants humans to believe in him by arguing that such a god would do a better job of gathering believers. 4. The omnipotence paradox suggests that the concept of an omnipotent God is logically contradictory, from considering a question like: “Can God create a rock so big that He cannot move it?” or “If God is all powerful, could God create a being more powerful than Himself?”. 5. The Omniscience paradox shows a different angle of the omnipotence paradox. “If God is omnipotent, then he should be able to change the future to an “alternate future” that is unknown to him, conflicting with his omniscience” Similarly, an omniscient God would know the position of all atoms in the universe over its ~14 billion-year history as well as its infinite future. To know that, God’s memory needs to be bigger than the infinite set of possible states in the current Universe. 6. The Problem of Hell is the idea that eternal damnation for actions committed in a finite existence contradicts God’s omnibenevolence or omnipresence. 7. The Anthropic Argument states that if God is omniscient, omnipotent, and morally perfect, He would have created other morally perfect beings instead of imperfect humans. 8. The “No Reason” Argument tries to show that an omnipotent and omniscient God would not have any reason to act in any way, specifically by creating the universe, because He would have no needs, wants, or desires since these very concepts are subjectively human. Since the Universe exists, there is a contradiction, and therefore, an omnipotent God cannot exist. 9. The “Historical Induction” Argument concludes that since most theistic religions throughout history (e.g. ancient Egyptian religion, ancient Greek religion) and their gods ultimately come to be regarded as untrue or incorrect, all theistic religions, including contemporary ones, are therefore most likely untrue/incorrect by induction. 10. The “Conflicted Religions” Argument notes that many religions give differing accounts as to what God is and what God wants; since all the contradictory accounts cannot be correct, many, if not all, religions must be incorrect. 11. The Disappointment Argument claims that if, when asked for, there is no visible help from God, therefore, there is no reason to believe that there is a God. Thank you for reading and commenting. Rather than going into each and every atheistic objection to Christianity here in the comments section of this article, I would like to direct you (and any other readers) to some websites by very competent Christian apologists who can give you better answers than I can. This is not to say that I agree with everything all these men believe, but they do have good answers for the questions for which you seek answers. I hope these suggestions help you find the information you are looking for. God bless you. There’s a new book on this topic called The War Among Us. It can really help give atheists, who may be intimidated by picking up a Bible, the push in the right direction towards Christ. You can find it at barnes n noble.com, amazon.com. Great read and inexpensive… Check it out. Thanks for the information. Who is the author of this book? Sorry, I am using my cell phone to type, but if you go to Barnes n noble.com, or amazon.com, or parable Christian books website, you can type in THE WAR AMONG US and the book and information will come up. From what I can remember, it is one of those books that you would give to a skeptical relative, friend, or co worker to read. Its intriguing even to a believer. God Bless! When the bible began, it did not ask the question whether anyone believes that God exist. It simply declares, and assumes that everyone new that God is real. On one of my witnessing trips in my neighborhood, someone asked me that question ‘How do you know that God exist’. I could not explain it with the Bible because he did not believe in the Bible. So I explained it like this: Everyone knows that the wind exists. We cannot see the wind, but we feel it the breeze. We may not be able to see God, but we know he exists be cause we feel his presence every day. I have used this analysis often now, and it works. Thanks for a great article Robert. It was my pleasure to write this article. Thank you for being a faithful witness for the Lord Jesus Christ. God bless you. Why did you leave out John 3:16? Is the concept of not believing in God that hard to grasp? I sometimes try to put myself on the shoes of a believer. I can definitely see how it would be comforting to know that there’s somebody watching after you and all that, but i can’t quite “feel” it. Yet, I accept that some people seriously believe in that. I don’t know. It’s kind of annoying when believers try to claim that I believe in God, when I have sincerely looked inside me and determined that I don’t. Thank you Kenny. I know a lot of people who can identify with you sir. I am glad you have given us some insight into how you feel about this.